I don't like to give numbers on how big a capsule should be for you because all of us have different needs. But if I could choose a magic number for myself, it would probably be 16. To be upfront, I haven't whittled my capsule down this far yet and I'm not even sure that would work for me but I dream about it because it seems SO simple. However, I'm not about making you reduce your wardrobe this tiny (unless you're like me and that sounds dreamy) but about helping you create simple capsules from the wardrobe you have. 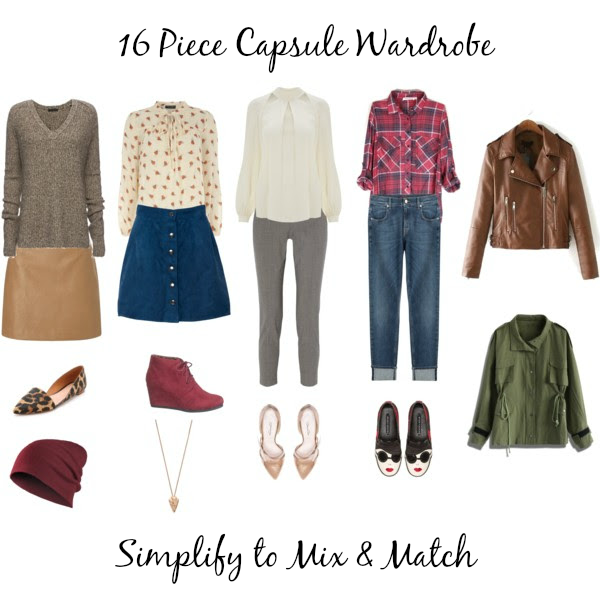 I've found that people work better in smaller numbers, so it's easy to create multiple 16 piece capsules WITHIN their wardrobe. This way, you can wear ONE 16 piece capsule for two work weeks and switch to the next one for the remainder of the month. You could continue doing this for as many capsules as you need. Do you think you could wear a capsule wardrobe this small? If not, how low do you think you could go? Alexandra, you're a girl after my own heart! I'm crazy about my scarves too. That's awesome that you de-cluttered your entire home. I'm needing to do that again and be a little more ruthless!